Pinpoint offers Cambridgeshire parent carers the chance to improve local services for their families with additional needs and disabilities. 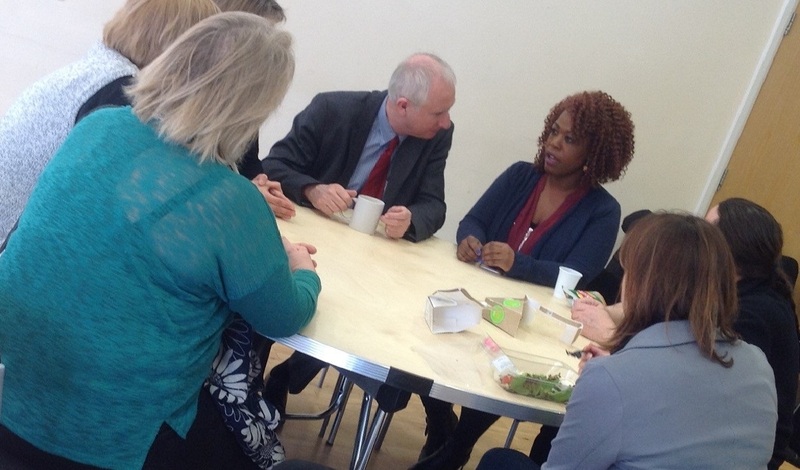 And have a say on the things they care about – such as health, education and social care. 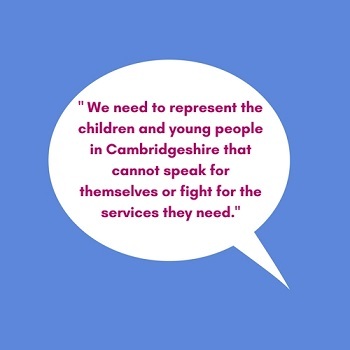 Every term we run county-wide network meetings in East Cambs, South Cambs, Cambridge City, Fenland and Huntingdonshire to gather parents’ views and share information with the providers of the service – including health officials and the county council. a parent group for parents of children with ADHD and Autistic Spectrum Disorders. We have a contract with Cambridgeshire County Council to help develop the participation of parents with disabled children in decision-making. The contract runs until March 2018. Our work has put the local spotlight on issues such as self-harm, bullying, mental health, wheelchairs and continence services, and resulted in better services and more information and support for families. Cambridgeshire Parent Power - make things happen! Pinpoint offers Cambridgeshire parents and carers the chance to get involved and have a say on the services affecting their families. 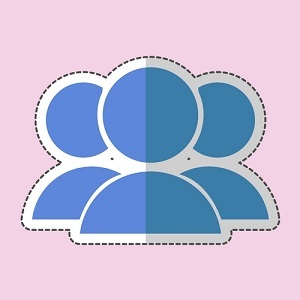 We are the parent carer forum for Cambridgeshire and are also commissioned by Cambridgeshire County Council to improve the way parents are involved in making decisions about how support is provided to families. Thank you for all the hard work you’ve put in and Information you’ve provided over the past sessions I’ve attended. Pinpoint is such a great service and one of the few providers that “get” our children. Great to listen to other parents. Really good to find support and assistance at this stage, as I feel like I’m in the dark. I come to meetings to find out how to help my son – I feel the knowledge I have gained has helped settle him into the school environment. I have attended Pinpoint events for quite a few years now and have found the information very helpful and it has also enabled me to point other people in the right direction. Pinpoint meetings are in sensible locations and provide really high quality speakers and resources. Pinpoint have always been very helpful with and queries/problems that parents have. More recently, the help and support given to parents with home to school transport issues had been very useful and has helped parents achieve a positive outcome. I think it’s important for professionals to hear parents’ opinions. Many thanks for an excellent meeting – well run, good quality attendees who listened! Very helpful, on many levels. Excellent range of specialists available to listen, and answers questions, good location, good to meet other parents. The 2017 Pinpoint Conference was very empowering, a celebration of what parents can achieve. YOU are the expert on your child or young person and know best what works for them and what doesn’t. Whether you want more help at school for your son or daughter, an EHC plan for your own child or want to improve specific county-wide services such as wheelchair, sensory support or continence or are concerned about issues such as bullying, transport or mental health, your views and experience really are important. Cambridgeshire care providers need your involvement in designing, developing and planning services for children and young people. And the 2014 SEND reforms make it clear that children with additional needs and disabilities and their families are equal partners in services and in deciding what should be provided. You need good information to make informed decisions. And should be asked what matters to you and be listened to. Everyone's talking about co-production - what is it? When parents and professionals work together as equal partners it is called ‘co-production’. It allows people with different views and ideas to come together to make things better for everyone. Co-production is about people who use services, their carers, and people who run services working together as equals.